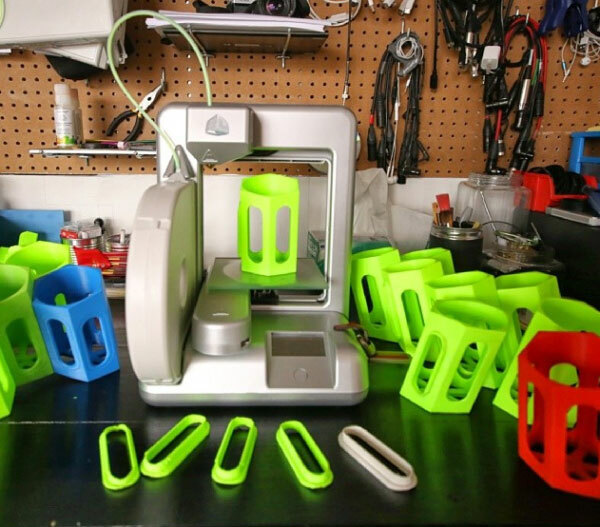 Couple of days ago, many people around the world celebrated the Earth Day, which was an inspiring occasion for Urban Hubs to create their new project, 3D printed recycle bins. The Urban Hubs project aims to increase the awareness of recycling and how to use the 3D printing for this purpose. The team created 3D printed bottle holders that can be connected together or used individually. 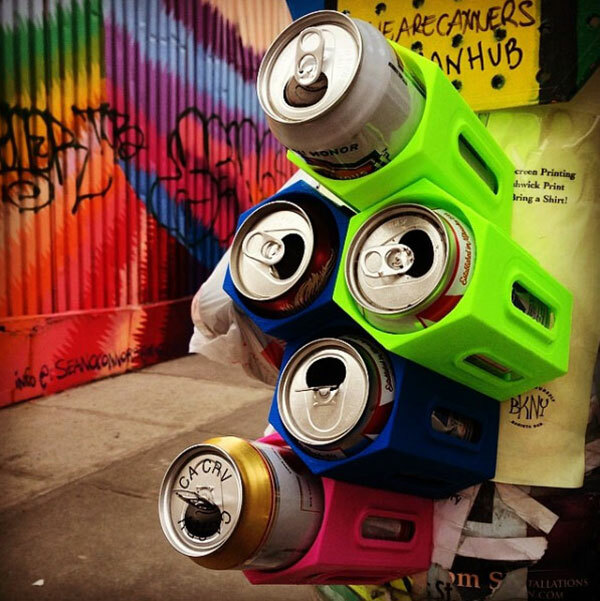 Then, these 3D printed holders can be installed in the streets, so people can add their empty cans, bottle to each slot in the recycle bin. These objects can be recycled later to new products and better environmental impact. The 3D printed materials used in the project is made from a compostable PLA filament, which is plant-based and more environmental friendly than the rest of the 3D printing materials such as the ABS (What are the Types of 3D Printing Materials?). The project is supported by 3D System, the well-known 3D printing manufacturer, and aim to connect the people with the recycling service. When they add their empty bottles to the 3D printed recycle bins and the recycling service collect it later. “Make Change in your community. Starting making a difference this Earth Day and explore how 3D printing can positively impact the world around you,” 3D Systems explains. The project is using Cubify 3D printer, Cube 2, which is easy to install and add on desktop because of its small size and quality output. Urban Hubs provide the 3D printed recycle bin as an open-source that you can go to their website, download the STL file (List of Free Software for 3D Printing), 3D print it, and install it in your neighborhood. The STL file is available on Urban Hubs website or Cubify profile. The photos below shows how the 3D printed recycle bin parts are installed after printing them. If you like to get involved, you can get in touch with Urban Hub through the link above. What are the Types of 3D Printing Materials? Do Composite 3D Printing Filaments Open the Door for New Opportunities?